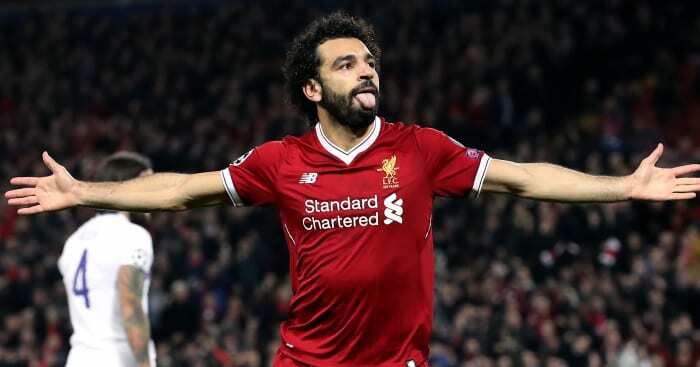 It’s been a roller coaster week so far as Yvonne Ridley looks through the highlights of the last week & Mo Salah gets a mention! I am a big fan of regional newspapers because they often cover stories that our nationalistic, flag-waving London-based media will not touch with a bargepole. A classic example goes, this week, to the Bristol Evening Post and one of its senior journalists Tristan Cork who spotted a tweet from Her Majesty’s Treasury happily informing us all that the good old British taxpayer helped end the slave trade, and here’s how … we paid off the debt borrowed by the UK Government to ‘compensate’ filthy rich slave owners. And for some bizarre reason, a halfwit in the Treasury thought this #FridayFact was worth bragging about in a tweet! Naturally it unleashed a justified furore and the tweet suddenly disappeared into that blackhole in Twitterland after someone quickly pressed the delete button! While we’re all trying to comprehend the scandal engulfing British charity Oxfam, there was more bad news on Sunday as news broke about fthe death of legendary Pakistani human rights activist and lawyer Asma Jahangir. Asma, who was only 66, suffered a heart attack and died in hospital leaving the world without one of its leading pro-democracy champions and women’s rights campaigners. She was sent to prison in 1983 and thrown under house arrest in 2007 because of her fearless and tireless efforts which were not appreciated by Pakistan’s intelligence community. Back in 2012 some leaked documents emerged which revealed that some members of Pakistan’s ISI were planning to assassinate her. Fearless, she even called for an investigation “to find the forces who wanted to silence” her. Nobel Peace Prize winner Malala Yousafzai described her as a “saviour of democracy and human rights” on Twitter saying she was “heartbroken”. We all are Malala, we all are … she leaves this world much richer for her kind deeds and tireless work. One of the joys of walking to school as a kid was the daily encounter with the ‘Lollipop lady’ (or man) as the case may be. Invariably lollipop people who keep us all safe by patrolling our pedestrian crossings with the duty and zeal of a proud mother hen, are remembered with great affection long after they’ve gone. One such diligent character is 83-year-old Colin Spencer who is known for “high-fiving” the pupils of St George’s Primary School in Heaviley, Stockport, Greater Manchester. He is passionate about his civic duty and role which he has carried out for 14 years. Now the muppets at Stockport Council have ordered him to cease the high-fives and “concentrate on ensuring highway safety”. A spokesperson said: “School crossing patrols are required to continually observe the road and traffic conditions to ensure the safety. The youngsters are puzzled and some have been reduced to tears by the absence of their daily ‘high fives’ from their lollipop man, say outraged parents. Colin is obviously too much of a gentleman to tell them what he really thinks, so allow me to do it for him. My message is: “Up yours, you jumped up procrastinating, jobsworth, martinets.” If I had Colin’s lollipop stick I’d also be telling these officious prats where to shove it! Living in Scotland as I do, we tend to take drinking water for granted. It’s everywhere! Coupled with the rainy Scottish weather there’s plenty to be had from our lochs, rivers, mountain streams and, of course, the ubiquitous tap on the kitchen sink. Not so for those South Africans living in Cape Town who are in very real danger of living in the first major city to face the threat of running out of drinking water. Of course the experts have been predicting this situation for some time and now it looks as though the drought-hit South African city is going to make their predictions come true. Although we are surrounded by the wet stuff – more than two thirds of the planet’s surface is water – very little of it is fresh, apparently three per cent to be precise. Here’s some other alarming statistics for you to wrestle with: More than one billion people lack access to water and another 2.7 billion find it scarce for at least one month of the year. A 2014 survey of the world’s 500 largest cities estimates that one in four are in a situation of water stress! And if those stats don’t alarm you this should … UN-endorsed projections reckon global demand for fresh water will exceed supply by 40 per cent in 2030. For those climate change deniers this is all due to population growth, human activity and climate change. The message is clear wherever we live – don’t take water for granted. We’ve all suffered from dress malfunctions and I’m still acutely embarrassed by the memory of the hemline of my school skirt getting caught in my knicker elastic after a rushed visit to the toilets. I began to notice some sniggers as I lit my Bunsen Burner for a group experiment but no one bothered to tell me I was showing off my underwear until break time. So, US singer Halsey gets my deepest sympathies after she stepped out in an already very revealing black number at the amFAR gala when a guest trod on her hemline changing the whole dimension of her strapless, thigh-revealing, flimsy gown. Showing far more than she intended, she turned to give the clodhopper behind her the evils before carrying on her red carpet walk. I’m told she changed dresses to give a performance on stage later – probably a wise move after the epic dress fail. Does Remainer Soubry realise Corbyn as a Brexiteer? Tory Remainer Anna Soubry says Brexit might not actually happen insisting that “the people” can still stop it. The pro-EU Tory says she is threatening to join forces with Labour to vote down Theresa May’s deal with the Brussels. This is going to be interesting to watch since Labour leader Jeremy Corbyn and many of his supporters in the British Parliament are pro-Brexit. Hi5 goes to Mohammed Saleh of Liverpool Football Club for doing more for Islam in 90 minutes on the pitch than any sermon off it! And, of course, full credit to the fans who show off their trademark Scouse humour with such style. All together now … Saleh lala lala la! Why do African Americans still feel like outsiders in the USA?